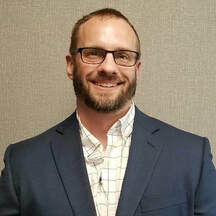 Technology Manager - Mechanical, Inc.
Travis is a recent convert to the construction industry. He has spent years in software development focusing on getting data in the hands of people who need it. This is a mindset he brings to construction now as the Technology Manager at Mechanical, Inc. His goal is to help Mechanical leverage new technologies and evangelize the concept of open data standards so project teams can share information seamlessly through the different stakeholders and platforms needed to execute a building project successfully. He may be new to construction, but he is intensely passionate about helping the industry get better as a whole.